DESMOND Mongwe became an instant millionaire on Wednesday night. This was after Parks Tau, the major of Joburg. announced the three winners in the Hack.Jozi Challenge, and Mongwe took the first prize. 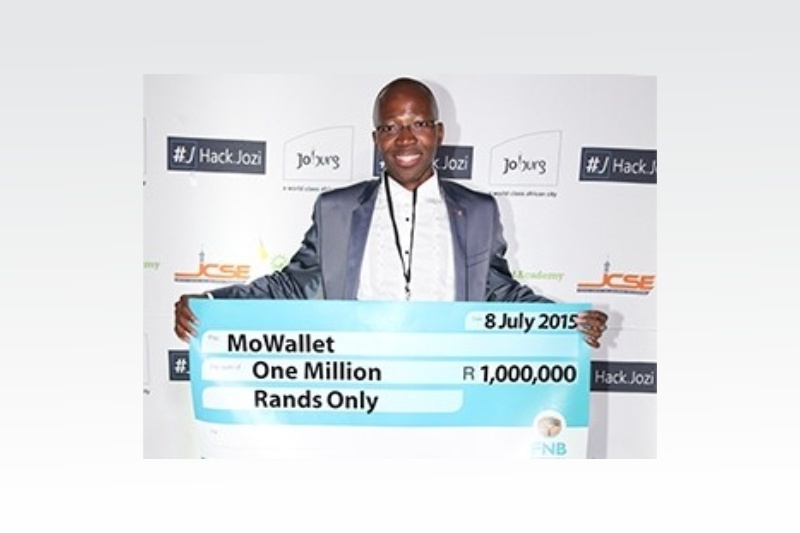 Mongwe created MoWallet. an app that enables brands to connect with customers and improve distribution of vouchers to citizens who`re in need. The runners up Were Niel Pieters of Lazy Lizzard and Percy Lawrence of MoveThisStuff. They were awarded R350 000 each. Lazy Lizzard is educational software that is relevant to the junior school curriculum and allows parents to track their child`s progress. MoveThisStuff is a logistics app that provides cost effective removal and transport options. Zolani Matebese, the head of broad- band at the City of Joburg, describes the Hack.Jozi Challenge as a boot camp for start up entrepreneurs. ‘We have witnessed great enhancerments to ideas from the start of the business training through to final delivery of a minimum viable product’. The initiative was developed by the City of Joburg in partnership with Wits University, working through its Joburg Centre for Software Engineering (JCSE), to enhance the city` s lCT capacity for improved technological engagement with its citizens. About 40 teams comprising 100 delegates took part in a one-month accelerator and business training presented by Seed Academy, which provided intensive entrepreneurship training and technical hackathons. The judging committee comprised mayoral office executives, Wits University`s JCSE representatives, The Innovation Hub, IBM and entrepreneurs.